First and foremost, “voice-directed” picking does not mean, nor has ever meant “voice-only” picking. Voice-directed work solutions have always been able to integrate barcode scanning. When a product’s UPC barcode needs to be captured as part of the picking workflow, a scanner is often the fastest and most efficient way to capture it. Hence, voice and scanners have a long history of working well together. The downside of most scanners is that they are built into RF handheld devices which also have a handle, screen and keyboard. Voice-directed picking solutions enable associates to be optimally productive and accurate because they empower them to “hands-free, eyes-free” -- thereby, they make no wasted motions nor are ever distracted by having to interact with an RF device’s handle, screen and keyboard. Voice directed picking solutions are ideal for fast-paced each picking when accuracy cannot be compromised. 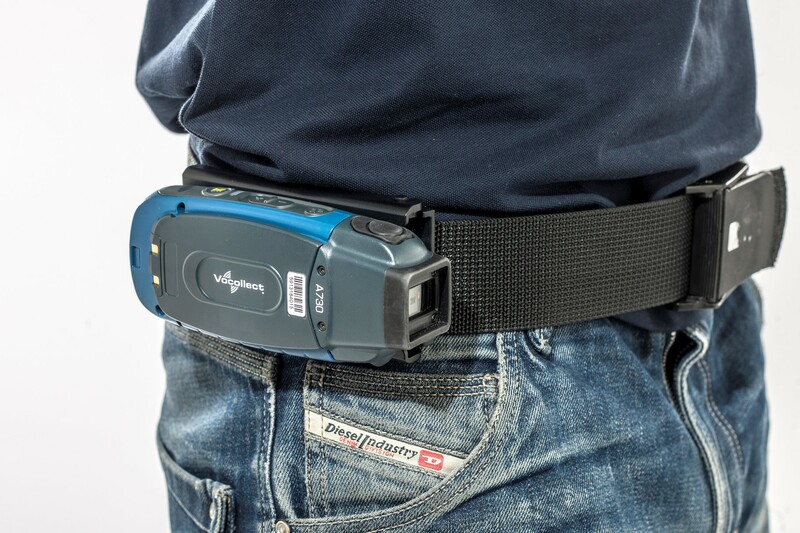 While such solutions have often included a ring or back-of-hand wearable scanner, there is yet another, even more “hands-free”, option: the end-cap scanner built into the belt-worn Honeywell-Vocollect Talkman A730. Unique to this industry-leading, purpose-built-for-voice device is that its 2-D imager can be turned in two “hands free” ways beyond a button push, namely via a spoken command (e.g. “scan”) or programmatically via the process logic of the voice-directed work solution. For example, as soon as a picker confirms that they are at the correct bin via a spoken check-digit, the voice program can turn on the A730’s imager so that the picker can then quickly scan the picked product’s UPC barcode and then receive a voice instruction as to which bin the picked product should be placed. Voice-directed piece picking with hands-free scanning is a game changer for companies who want all the benefits of voice and scanning without any of the traditional “handle, screen, keyboard” downsides of scanning. Will saving a few seconds per pick from a solution that also improves accuracy and dramatically reduces training time for new or temporary employees be worth the investment? Speech Interface Design’s “Industrial Engineering-strength” Value & ROI Analysis will answer that question for your specific operation. Contact us to take this first step today toward truly optimizing your piece picking and fulfillment performance.